What a week it’s been for the owner and crew of Lionheart… And for all of us at Claasen who built her! 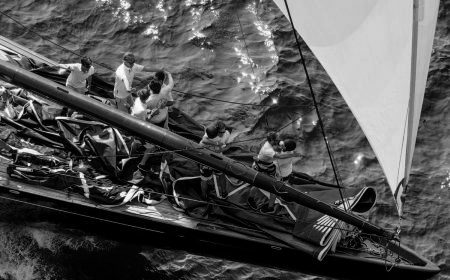 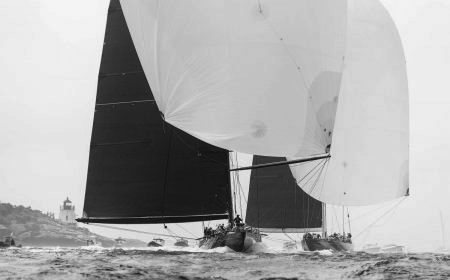 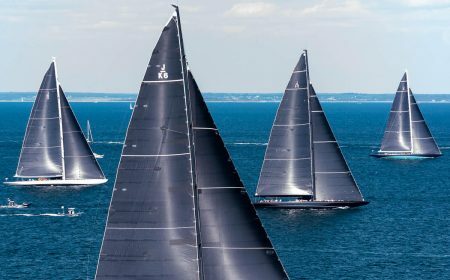 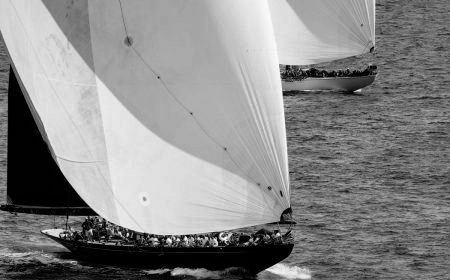 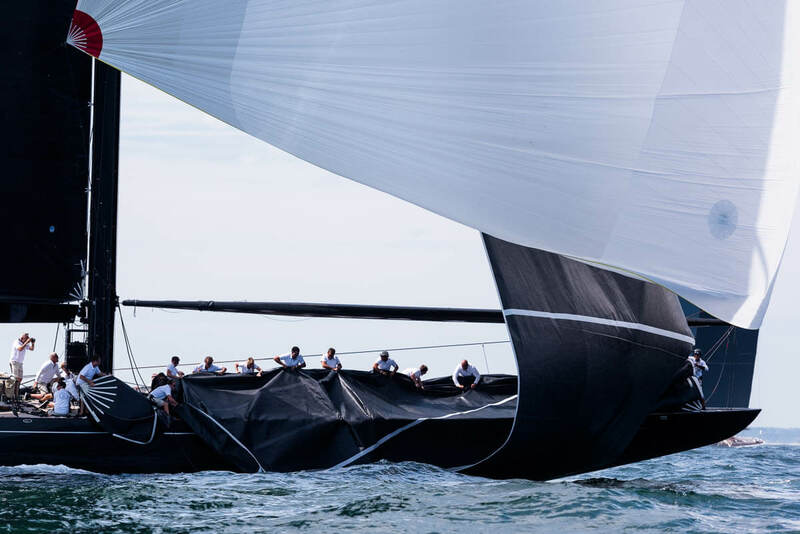 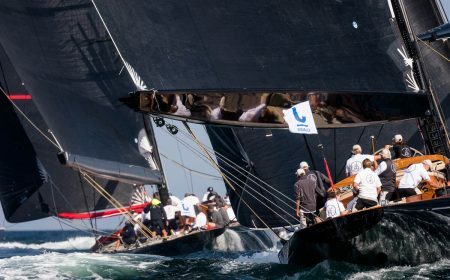 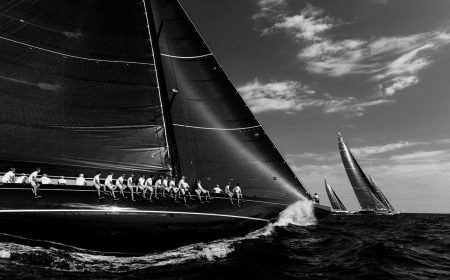 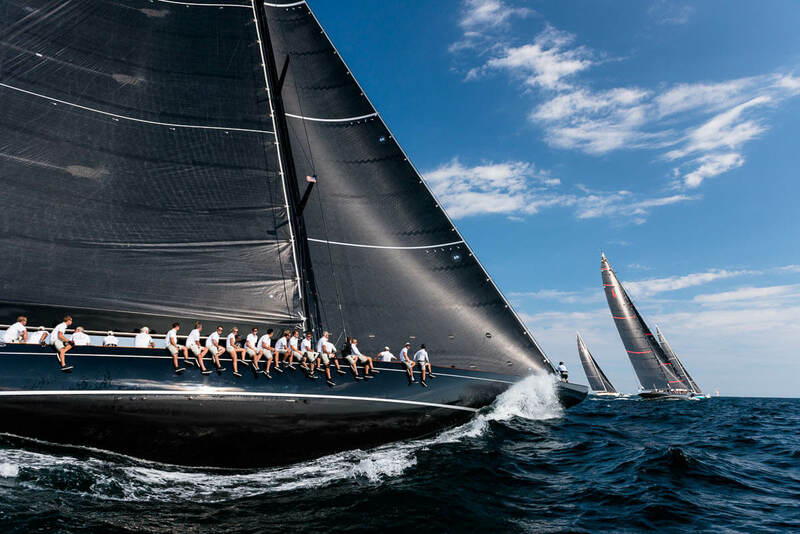 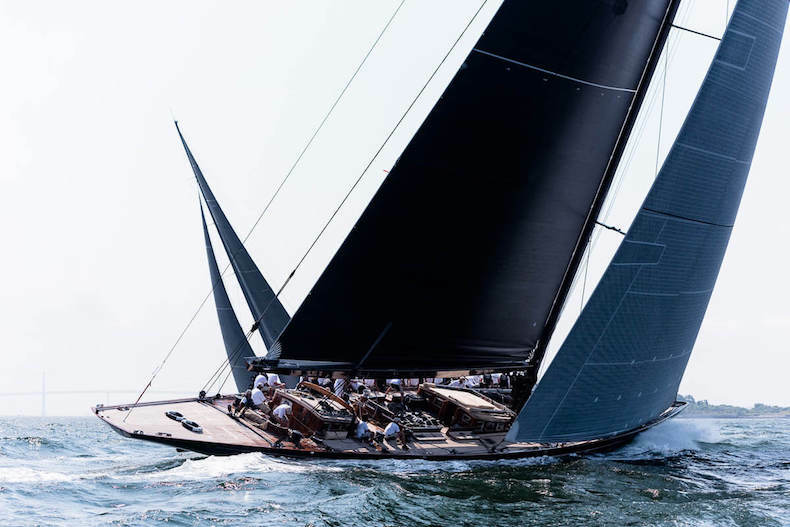 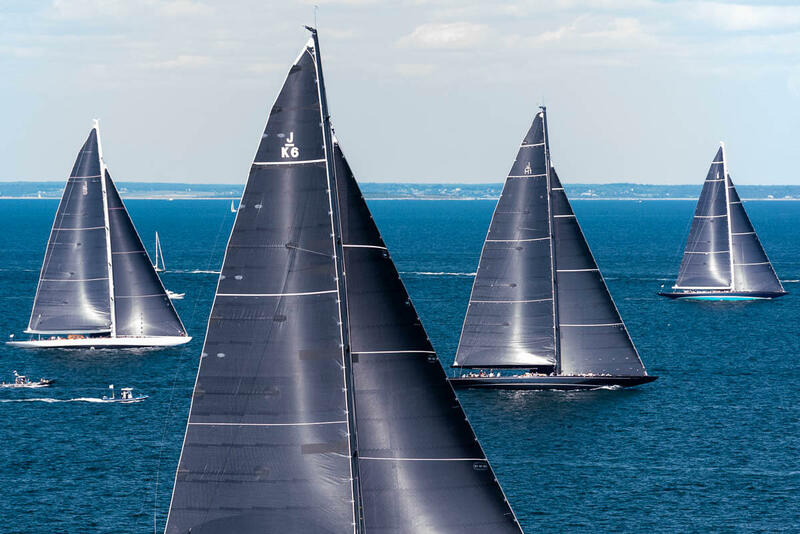 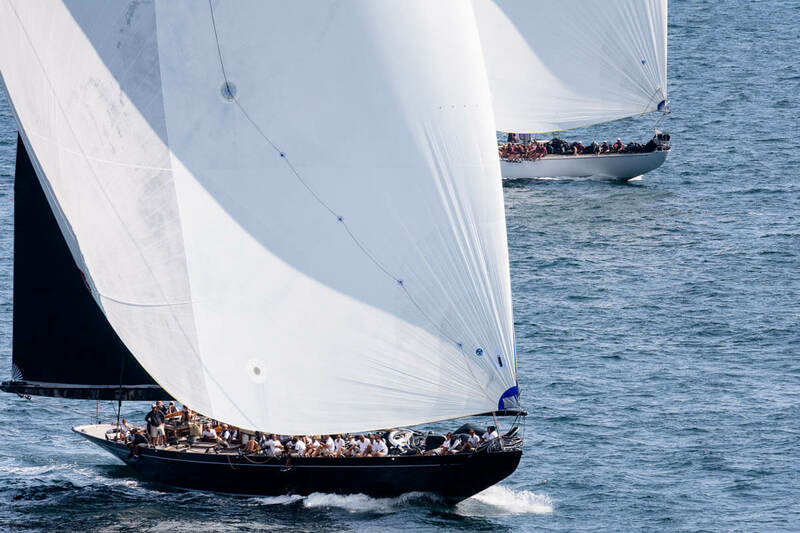 After seven exciting races on the waters off Newport Rhode Island, the 43.40-metre black-hulled beauty won the first ever J Class World Championship. 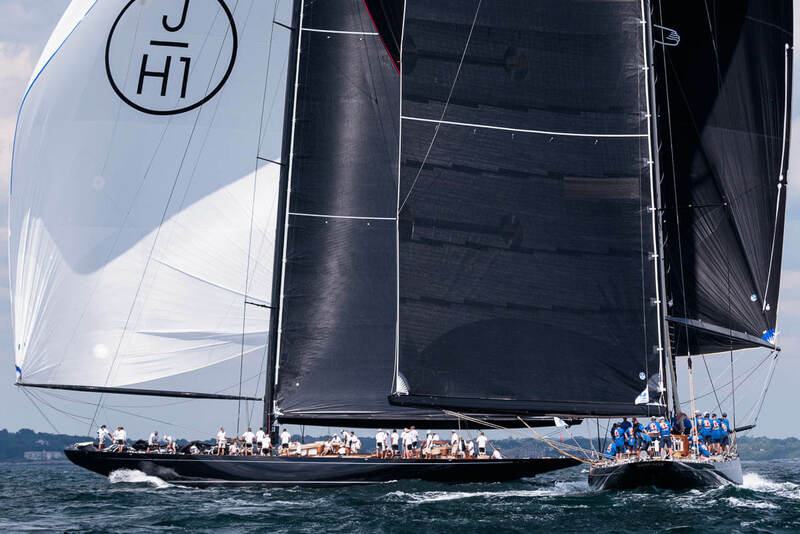 In doing so, Lionheart also took home the Terry Kohler Trophy as the 2017 J-Class season champions based on the average results from the St Barth's Bucket, America's Cup J Class Regatta and this final event of the season. Huge crowds turned out for first race in the inaugural World J-Class Championship last Tuesday as Lionheart took on Svea, Velsheda, Ranger, Hanuman and Topaz. All six of these powerful Js had been training since they last met at the America’s Cup event in Bermuda in June, which Lionheart proudly won. 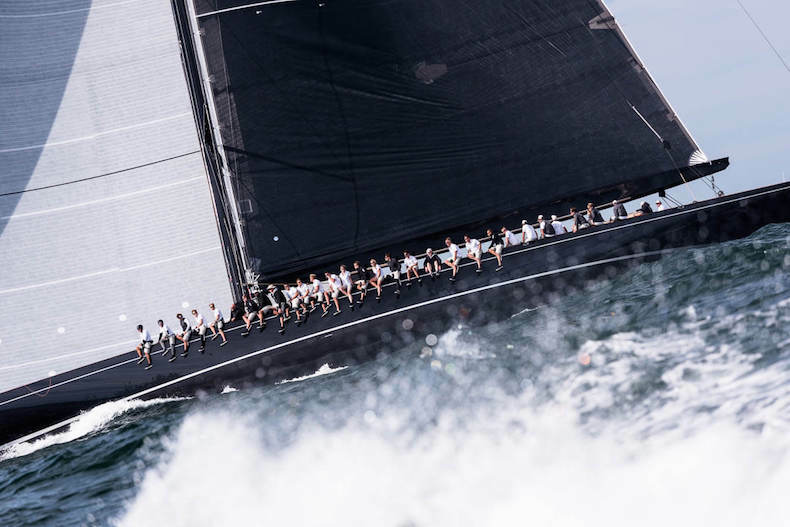 In addition to her incredible build and the exceptional naval architecture by Andre Hoek’s team, Lionheart’s winning ways are helped by having a very settled crew line up with the owner at the helm supported by tactician Bouwe Bekking. 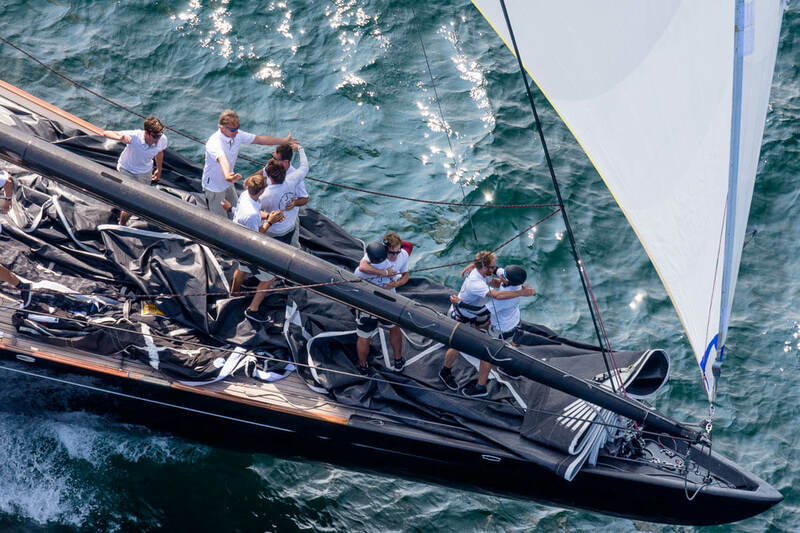 “Our crew has been together forever, our manoeuvres are excellent and we are confident in how we sail the boat,” Bouwe told the press in advance of the championship. 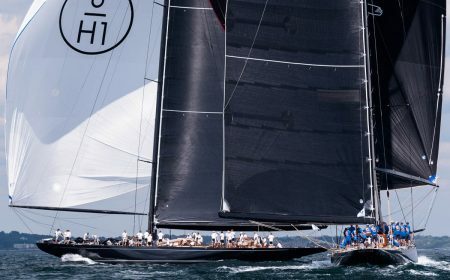 “When you sail with such a talented group as this and everyone is in position to succeed that should work to our advantage.” The accuracy of the master tactician’s words was proven over the seven races that followed, even though Hanuman initially stole the show with a spectacular opening day victory. 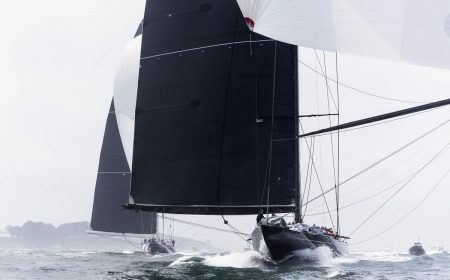 Lionheart came from behind on the beat to the finish, enjoying a huge starboard tack lift which gave her a useful third spot just behind the most recent addition to the J-Class fleet, Svea. This smart tactical performance typified the approach of Lionheart’s experienced crew over the next four days of racing. 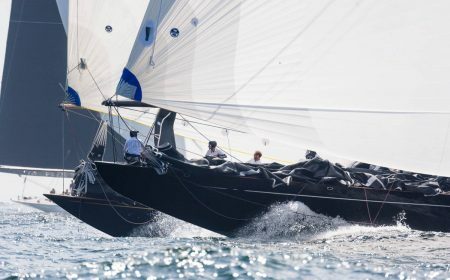 It was fascinating to watch as she came in third in the next two races, letting others stretch themselves to gain temporary wins while looking carefully at the big overall victory picture. 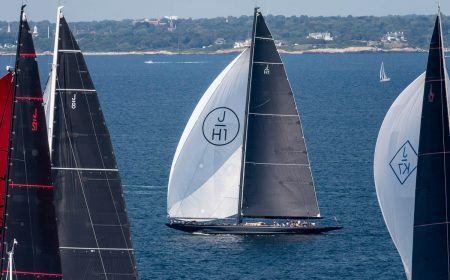 Her consistency meant that Lionheart was only three points off the overall lead going into race 4 and her success in this first windward-leeward race soon made that up. 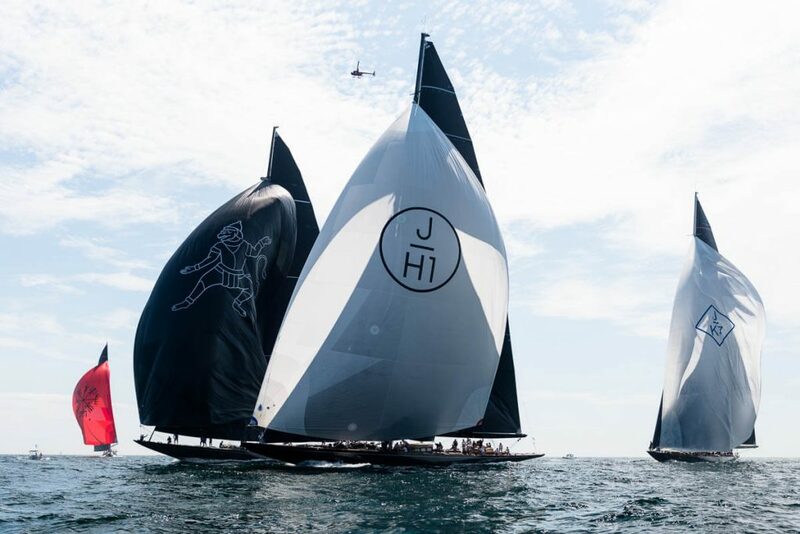 After another third place in race 5, there was everything to play for on the Friday, when even more patience was required as it took well over five hours beyond the scheduled time before the winds were sufficient for the six Js to lock horns again. 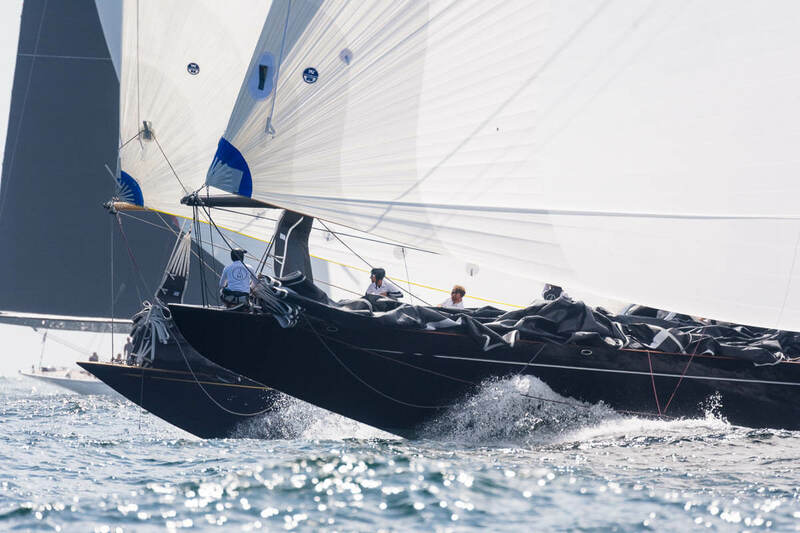 In an incredibly close race Ranger had her first win of the Championship, just one second ahead of Lionheart. 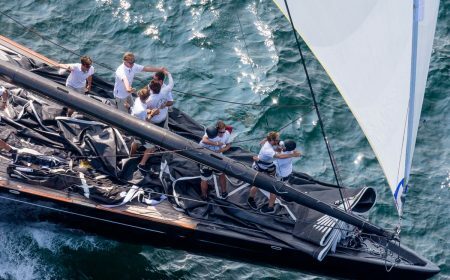 This result put the Dutch-flagged pride of the Claasen fleet into a very strong position to become World Champions on the final day. 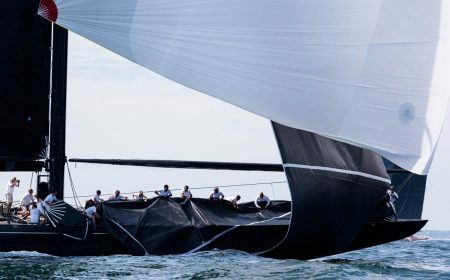 “We know that we can do it, we just have to go out there and do it,” commented Lionheart’s mainsheet trimmer Mike Mottl ahead of the last race day… And he was proven right. To roars from the thousands of spectators, Lionheart won the world title by three clear points when she crossed the finish line second. On behalf of the entire Claasen team, we congratulate everyone involved in this superb triumph.